Easy on the Eyes – Enjoying the design of your office space improves your overall mood. Plants add color and will enhance the appearance of your workspace. Vibrant greenery conveys positivity and exudes a meditative, tranquil feeling (Ambius). Increased Productivity – The visual pleasure of plants in the workplace will ultimately help with productivity, as you will feel happier, more optimistic, and more creative. However, it’s not all about your mood, as plants themselves are proven to increase your attentiveness. “The higher level of concentration can be attributed to the plants’ ability to reduce excess carbon dioxide in the air” (Ciphr). Improved air quality – Plants remove harmful pollutants and stabilize humidity levels. “When plants transpire water vapor from their leaves, they pull air down around their roots. This supplies their root microbes with oxygen” (Good Earth Plants). 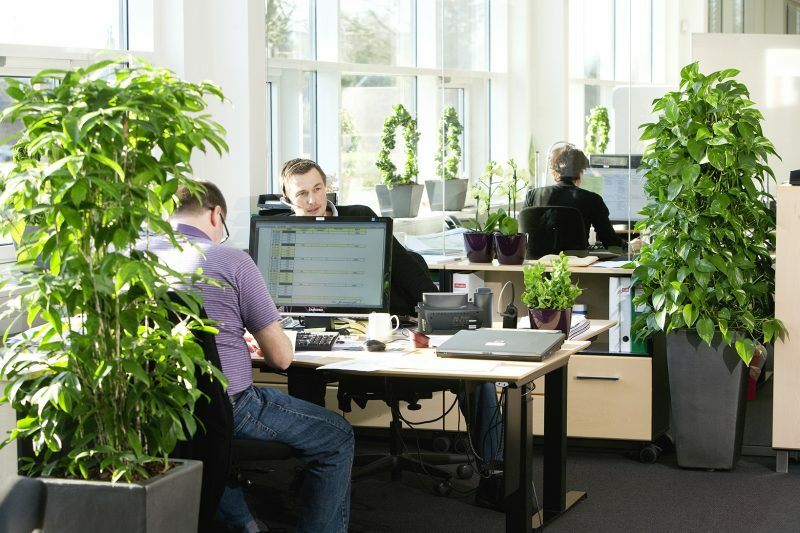 Noise Reduction – This is a lesser known benefit of keeping plants in the office. Perfect for open plan layouts and benching systems like our Basecamp system. How can plants possibly absorb noise? 3 ways: Absorption, Deflection, Refraction. Absorption: Stems, leaves, bark, and branches can absorb sound with their dynamic surface area. Rigid items found in the office cannot vibrate to deflect sound. Which is why soft, flexible plants are so effective at deflecting sound waves in other directions than in your workspace. We Need Nature – Biophilia hypothesis is defined as “the idea that humans possess an innate tendency to seek connections with nature and other forms of life” (Britannica). 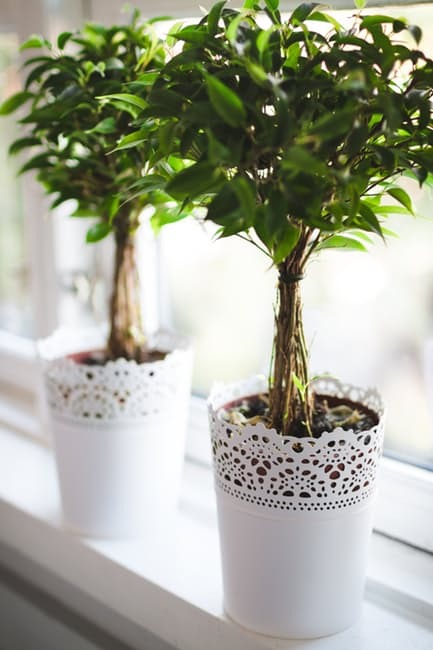 Better Health – “When plants were present, ailments such as fatigue, headache, sore throat, coughs, and dry skin were all reduced.” Plants can help reduce stress as well, because we perceive our surroundings better and therefore we feel more calm and relaxed (UVM). Make it your new year’s resolution to add some life to your office decor! What Will 2017 Bring to the Workplace?